The Earthling Dragon Balls have been used too many times, so they have been charged with a negative energy equal in power to the positive one released from the granted wishes. This means that he is a divine dragon with a negative spiritual power. This dragon split into the seven Evil Shenlongs scattered on the Earth. He's the 1 Star Dragon (born from Isshinchu), the most powerful among the Evil Shenlongs! He's a such cruel character that he even killed one of his fellows, Sushinlon, with no mercy! He has a defensive ability that can stop any of the attacks of Goku Super Saiyan 4. 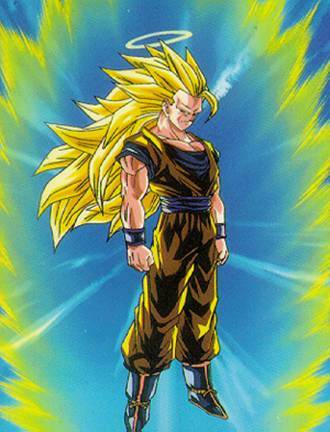 In fact, in this form he has the same fighting power of a Super Saiyan 4. By absorbing all the other Balls, he obtains a power ten times higher than normal, and becomes Super Ishinlon! He was born from the negative energy that made reborn all the people killed by Freeza and his henchmen. He's the 2 Star Dragon (born from Ryanshinchu). He's not very strong, so before attacking, he poisons his opponent using his evil energy: he creates a negative energy field turning the water of a lake into a poisoning mist. Although he's not so strong, he gives himself airs, he's quite smart and has a very powerful hit: a destructive energy attack from his mouth. He's the 6 Star Dragon (born from Ryushinchu) and he presents himself under the aspect of the beautiful Otohime, but his true aspect is horrible! He faces Goku with different strikes created with the air, like the Kuretsu Kidan (cutting air bullets), the Reppu Shinkuzan (emptiness hurricane cut) that are blades of air, the Senpu Kaitenba (vortex rotating blades) that is a mix between a tornado and a cutter, etc... etc... His only weak point is that he cannot defend himself when they attack him from above. Here is the look of Ryushinlon at the eyes of our heroes... the beautiful princess Otohime! Her shield, made by a tornado, can reject even Goku's attacks, but not those from the above! He's the 7 Star Dragon (born from Chishinchu) and he can control earthquakes. He looks like a giant mole but his true aspect is just like the 7 Star Dragon Ball! He has the ability to absorb other creatures so he can increase his power. Chishinlon will absorb Pan too (and he'll become Super Chishinlon) so Goku will not attack him at full power. Although he seems stupid, he's really clever! Chishinlon was born when Bulma wished to revive everybody died in 25th Tenkaichi tournament's day, but evils.